If you found yourself singing along, chances are you are looking forward to Smurfs: The Lost Village, in theaters April 7th! I know we certainly are in my house! We have to wait just a little bit longer to see the movie ourselves, but while we wait... we're getting into the spirit! We're eating, sleeping, dreaming... even CRAFTING blue! Today, I'm excited to share a super fun and super simple kids craft to help you and your children get movie ready! We're making our own Smurfs! While you are waiting, you can create your hat... simply cut out a piece of white felt big enough for your stick in the shape of a Smurfs hat. If you don't have felt, paper will work fine! When the stick has dried, it's time to assemble the Smurf. Glue on the Googly Eyes and hat. Finish up by drawing on the face. 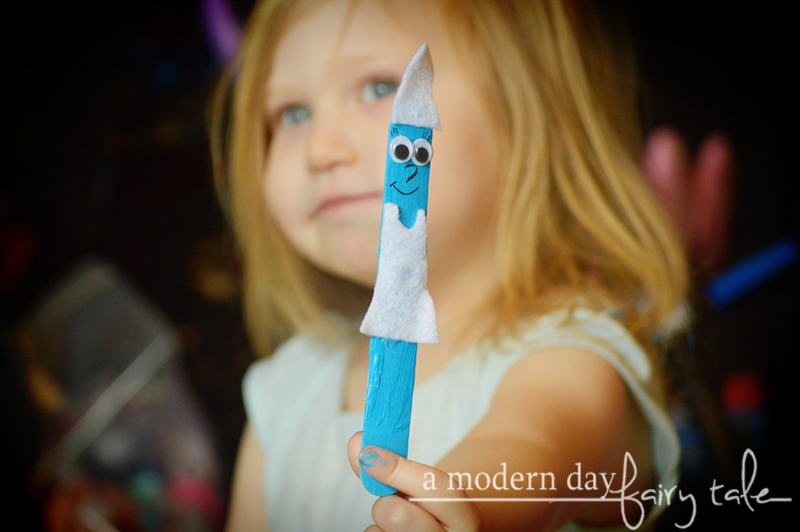 If you want to get a little fancier, you can paint the lower half of your stick white, or create a felt dress for Smurfette, using yarn or pipe cleaner for hair. Or you can keep them super simple, just the faces! That's it! Use them as little puppets, or as a fun bookmark! Your little ones can even take their new crafty pals to the theater too! Entenmann’s® Little Bites® Smurf Blueberry Muffins are the perfect Smurf approved baked snacks. These moist, delicious muffins are made with real blueberries, contain no high fructose corn syrup, no transfat and are certified Kosher. At less than 200 calories per pouch, Enenmann’s® Little Bites® are the perfect family snack to enjoy at home or on-the-go. A fun Smurfs coloring cut out for kids is included on the inside of every specially marked box. “Smurfs: The Lost Village” will hit theatres April 7, 2017. 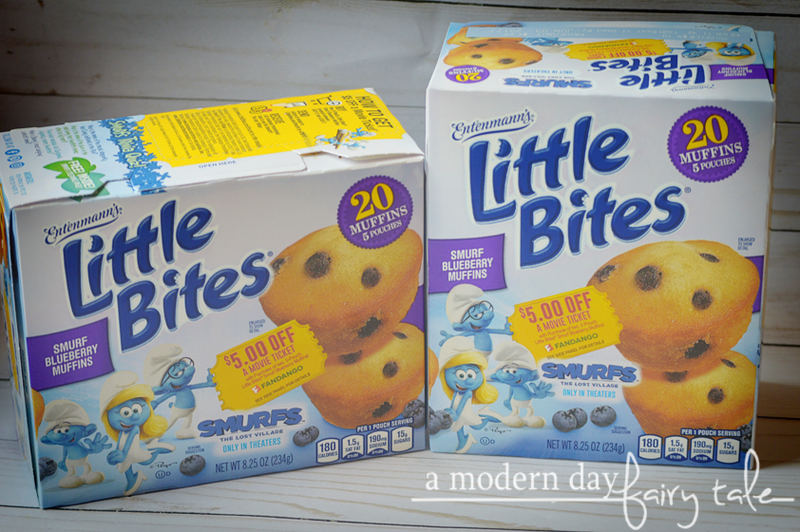 For more information about Entenmann’s® Little Bites® Smurf Blueberry Muffins or about the Fandango Movie Promotion, please visit www.littlebites.com. There, you will also find games and stories about theSmurfs for additional inspiration. Available nationwide for a limited time until 4/30/17. My kids love Entenmanns donuts! May I use this post in a round up I'm creating? Little Bites have become a staple in our pantry. Our kids take them to school and I take them to work. My grandsons would love these delicious muffins and the packaging! 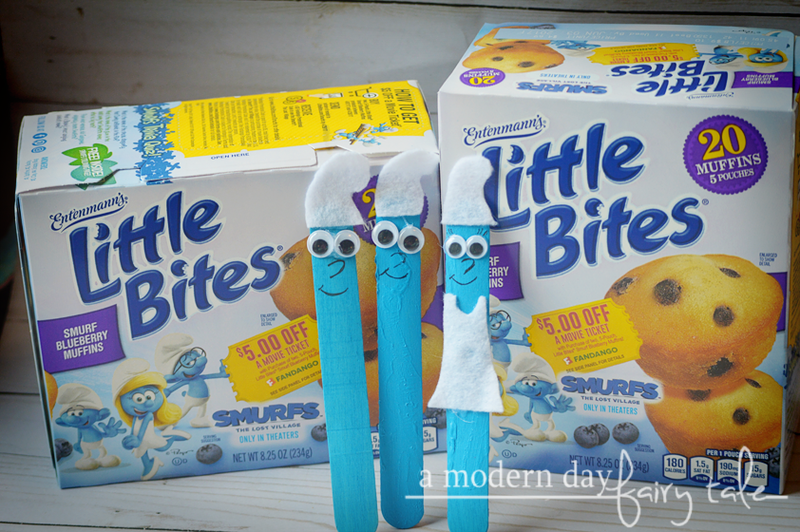 What a fun Smurfs craft idea. The kids love Little Bites. I love their powdered sugars donuts. Nothing I like more than biting into a mouthful of Smurfberries. My kids are so excited to see the Smurfs! I remember Little Bites from when I was in school! We love Entenmann's Little Bites! Thanks for a great giveaway!! So fun!! We are headed to go see this movie tomorrow!! Can't wait!! We love Entenmann's Little Bites. My favorite entennmans products is the crumb cake, followed by those mini chocolate donuts! I love the honey glazed limited edition donuts... so so good! We so love entenmanns and these look so yummy. Love Little Bites and I am excited for this new smurfs movie. 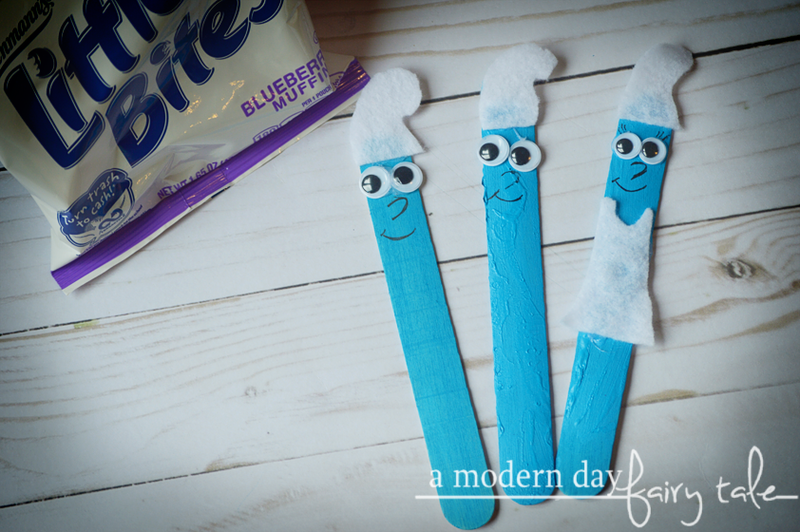 Your Popsicle Stick Smurfs are cute. Thanks for a fun craft to do with my 2 granddaughters (sisters). They love the Smurfs and we're planning to see the movie. I love Entenmann's products! I love the snickerdoodle muffins! We eat Little Bites often. We love The Smurfs and Little Bites. These Little Bites muffins are my fave treat! We love Entenmanns products! 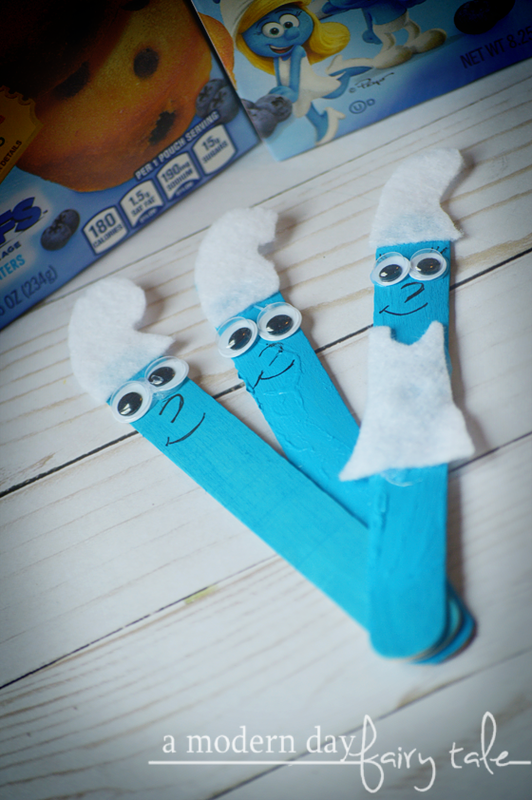 The stick Smurfs look like a fun idea for my grandson! I love the honey glazed donuts - they are a limited edition item. I love blueberry Little Bites! Thank you for the chance to win!